So does this mean that "The Bay Centre" will be re-branded (again) as the "The Hudson Bay" Centre? If you look carefully you can still see the ghost of the "Woodward's" script behind the exterior Bay sign at Mayfair. Montreal and Toronto still have "Eaton Centre"s. But I will predict The Bay Centre will be rebranded. Edited by Holden West, 24 June 2014 - 10:11 PM. Maybe even rebranded to something other the the "Hudson's Bay Centre"? That's a good question--they're the only mall here named after the anchor tenant. Do they pay for that? Maybe it will be Sport Chek Centre. I like the classier look of the new name and signage. 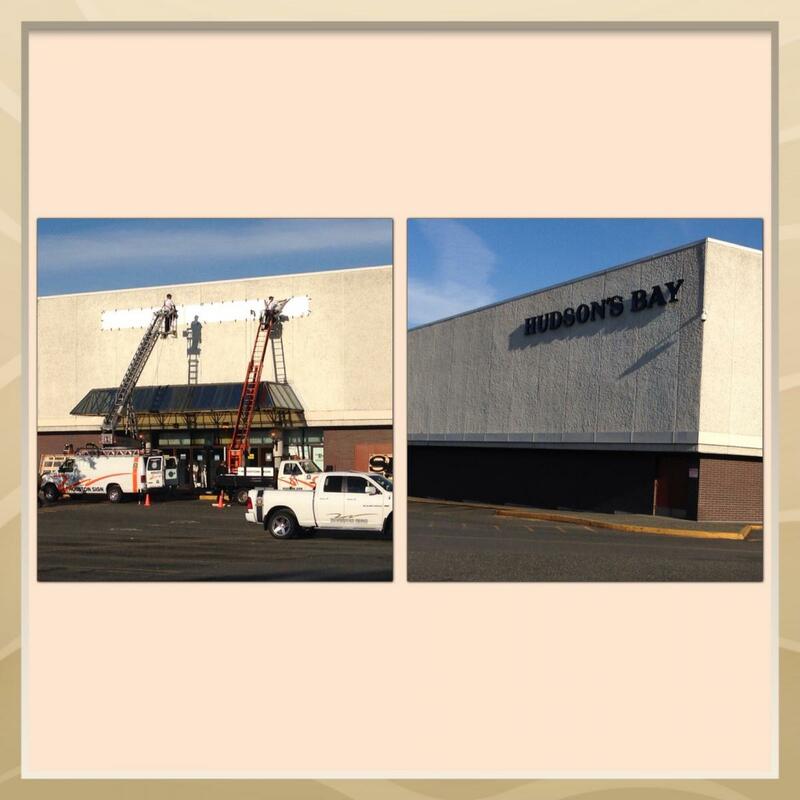 Edit: Maybe Hudson's Bay will fix up the interior of that shabby store! The one downtown is quite nice, but the one at Mayfair is terrible with awful lighting and filthy old flooring. Edited by jonny, 25 June 2014 - 07:20 AM. Little has been done to the interior of the Mayfair location since the mid-1980s when it was Woodwards. I worked at Woodward's starting in 1978 and from '80-82 part time while attending UVic and chuckle each time I venture into Mayfair and see the old escalators and certain aspects of the interior that literally have not changed in 30 years if you know what to look for. Even after all this time I still think of the The Bay (Mayfair) as "Woodward's", lol. Even after all this time I still think of the The Bay (Mayfair) as "Woodward's", lol. They did a big update of the menswear department recently, no? They moved men's upstairs and made it smaller. Call me an old futz (or perhaps just sentimental) but I miss the old Woodward's restaurant that used to be on the 2nd floor at Mayfair. Mayfair did a huge upgrade to their food court about a decade a go. That was a big change. But now that Hillside has invested into major updates and Uptown is all swanky and new Mayfair will be forced to follow suit. Expect some big news in the coming years. How about some condo towers??! That would show up Hillside. No no, not this time. Just thinking with my business hat on. Shot of the install and Finlayson side. I like it too, back to a classic look. Suits their more upscale offerings now.